I just randomly popped over to the APR website because I’m thinking about changing up from a douchey BMW to a douchey Audi, and came upon the most amazing invention ever: the APR Manual DSG DQ250 Dual Clutch Pedal System (MDSGDQ250DCPS)! 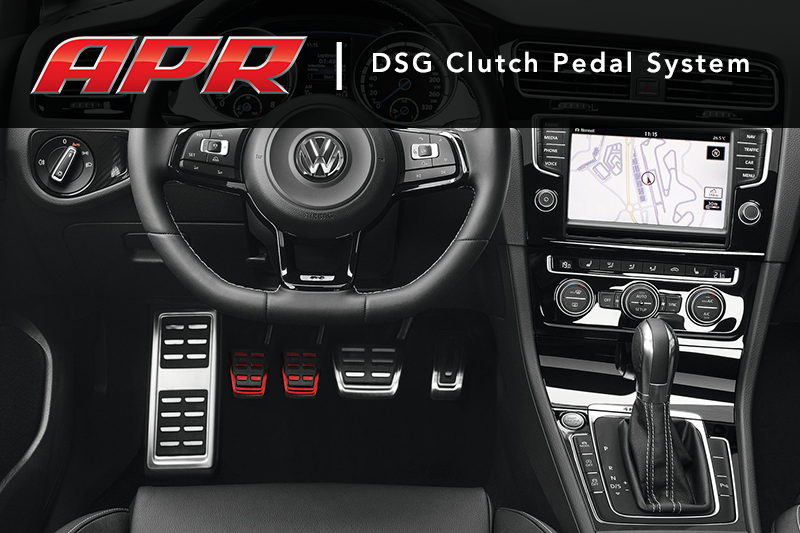 The APR Manual DSG DQ250 Dual Clutch Pedal System (MDSGDQ250DCPS) brings back manual clutch operation to the DSG transmission craved by enthusiasts the world over! Gone are the days of phantom clutch leg syndrome, and mindless right foot only driving or RFOD, as the MDSGDQ250DCPS allows the driver to manually control each of the transmissions clutches. Each clutch pedal is cnc-machined from a lightweight billet-gamma-ti and anodized red for an attractive, attention-grabbing appearance. The system includes full install instructions, and all necessary hardware to plug and play! Clutch 1 = Gears 1, 3 & 5. Clutch 2 = Gears 2, 4 & 6. Press and hold the appropriate clutch for the current gear. Move the gear selector to neutral. Press and hold the appropriate clutch for the next gear. Move the gear selector back to manual mode, and use it, or the paddles, to find the appropriate gear. Slowly release the clutch to complete the shift! Please Note: A TCU Upgrade disabling drive and sport mode is recommended. However, expert drivers can experiment with manual clutch operation in these modes at their own risk.